the Burmese Himalaya mountains. It’s a beautiful and unspoiled part of the world that makes travelling here a life enriching adventure. 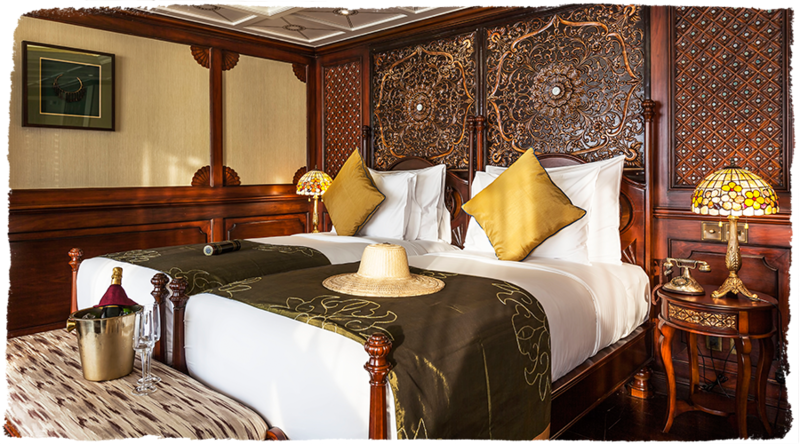 Vessel Type: River Boat/Small Ship Passenger Capacity: 46 Length: 65 m Built: 2015 With the largest cabin space on the Ayeyarwady river, and the highest crew to passenger ratio, Anawrahta offers the finest on-board experience in Myanmar. 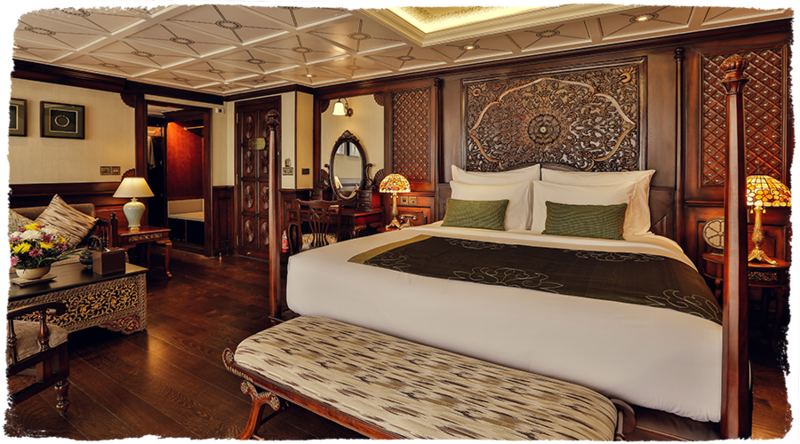 This impressive vessel is named after the founder of the Burmese nation, the modern day Myanmar. During his reign, from 1044-1077, he introduced and spread the religion of Theravada Buddhism throughout the land. KIPLING'S BAR Set on the Terrace Deck, the Kipling’s Bar is the perfect place to watch the world slip by as you enjoy your favorite wine or cocktail. 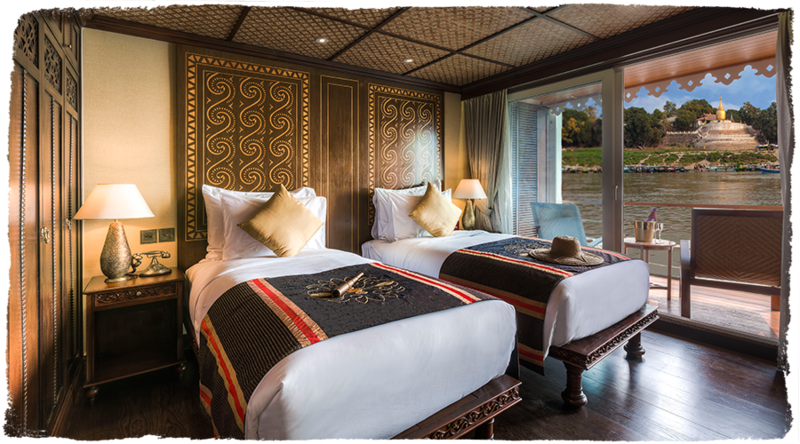 With its high ceilings, large windows and colonial-style rattan chairs, the Kipling’s Bar invites guests to relax and contemplate the passing river life. With colors inspired by local spices, the Kipling’s Bar is a spacious 157-square meters/ 1,690-square feet. MANDALAY LOUNGE With polished wood floors, comfortable rattan chairs and traditional Burmese decorations, the 162-square meter/ 1,744-square feet Mandalay Lounge has the relaxed feel of a colonial club, at once exclusive and welcoming. Lean back against the burnt-orange cushions and enjoy a good book, or join friends for a nightcap in the lounge’s elegant and exotic ambiance. This elegant venue is located on the Upper Deck. HINTHA HALL RESTAURANT Inspired by the lavish decorations of old Bagan and Mandalay, Anawrahta’s Hintha Hall Restaurant evokes the elegant dining halls of yesteryear. White tablecloths and gleaming glassware are surrounded by polished wood, intricately-carved floor and ceiling panels and – last but not least – stunning views, framed by large picture windows. With seating for 48, the 141-square meter/ 1,518-square feet Hintha Hall lies on the Terrace Deck. THAZIN SPA Anawrahta is especially proud of its spa, which offers expert service, locally-inspired treatments and beautiful surroundings. Inspired by Mandalay’s White Hsinbyume Pagoda, the Thazin Spa features three massage beds, manipedi stations and a steambath. Superbly trained staff and inspiring views make this the ultimate place to unwind. CULINARY Local flavors. Fresh, diverse and delicious As well as offering international favourites, Anawrahta’s chefs take great pride in introducing their guests to the authentic flavours of Burma. Influenced by the cuisines of China, Thailand and India, Burmese food is as diverse as it is delectable. Thanks to its long coastline, seafood plays a prominent role, as do fresh herbs, aromatic spices and both highland and lowland vegetables. A typical Burmese meal involves steamed rice, a fish or meat curry and a light soup. Salads, known as a thoke, are plentiful, as are imaginative condiments. Last but not least, the nation’s Buddhist culture has given rise to mouth-watering vegetarian options. Bid farewell to the crew as you check-out after breakfast. Mentioned times are approximate. Although it is our intention to operate the proposed itinerary as outlined above, we cannot be held responsible for any last minute changes of the program that might be necessary as a result of weather conditions, alterations to cruise schedules or other operational factors. Detailed embarkation and disembarkation information is available on our website in the download section. 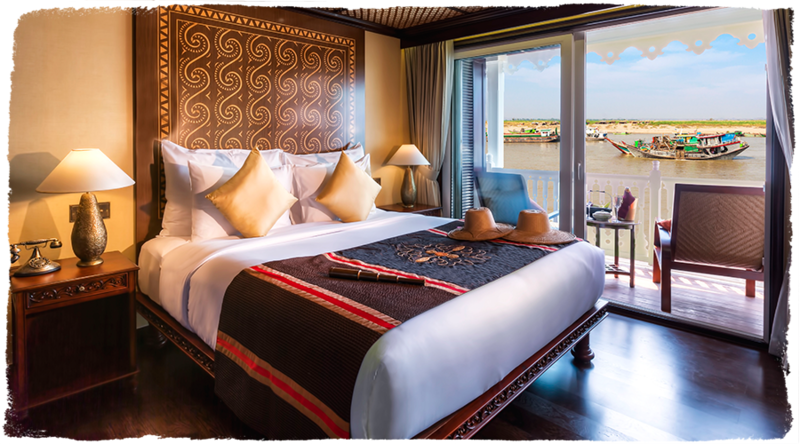 Pass through the most dramatic sceneries of the entire Ayeyarwady River, reaching it's peak in the drama of the Second Defile. Walk in the footsteps of George Orwell in Katha, the real-life setting for his Burmese Days, before visiting a nearby elephant logging camp. Savour the peace and tranquility of a remote island monastery. 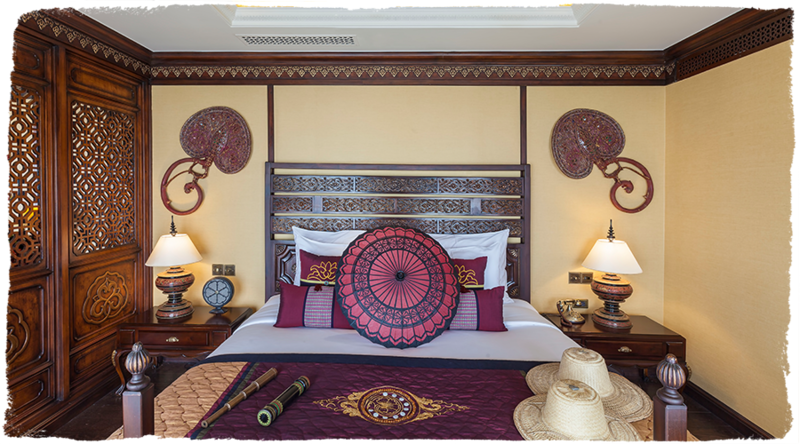 On board, learn from cultural demonstrations & lectures and enjoy our luxurious, three-room Spa facility.